I am always on the lookout to find more information about super foods. As with most everything else, there are varying opinons on exactly what constitutes a super food. It’s generally accepted that they are whole foods, minimally processed, with all the vitamins and minerals and other nutrients left intact. Beyond that, however, you could ask a dozen health and nutrtion experts to make a list of their top ten superfoods, and everyone of them would like be at least a little bit different. Recently I saw a post on the Educating Wellness site entitled, “Superfoods: The Best of the Best“. They have a little bit different take on the best superfoods available than most places, with the inclusion of one or two items not so commonly seen on a superfoods list. 1. 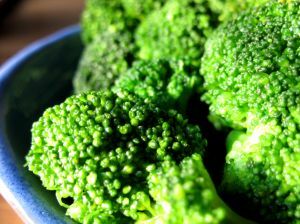 Cruciferous Vegetables: rich in Vitamin C, folic acid, calcium, and fiber, but broccoli, for example, contains a compound called sulphuraphane, which kills H. Pylori (bacteria that cause ulcers). 2. Sprouts: average of 500 percent more nutrients than the full-grown plants. 3. Antioxidant Foods: pomegranate (protects against clogging arteries and diabetes), mangosteen (eliminates free radicals), gogi berries (anti-aging), and acai berries. 4. Milk Thistle:. It helps to neutralize toxins going through the liver. 5. Seaweed: rich in trace minerals. I don’t think I have seen milk thistle on many superfoods lists, mostly because I believe most people would think of it as a supplement, instead of a food. Seaweed is also an unusual addition, for much the same reason. However, though it is usually considered more of a supplement, it is also used in actual cooking. Both milk thistle and seaweed are worthy additions to a super foods list, but if you start adding items usually considered supplements, it’s even more confusing what should or should not be considered a superfood. In any event, there is no doubt the cruciferous vegetables belong on ever list of superfoods. Brussels sprouts, cabbage, kale, cauliflower, and broccoli are commonly considered great foods that are full of beneficial nutrtients. Many different nuts are also included on a super foods list, such as almonds, hazelnuts, and walnuts. Sprouts Are Super Foods Too! Look for organic seeds to be sure there are no harmful chemicals on the seeds. There are many different places to get seeds for sprouting. 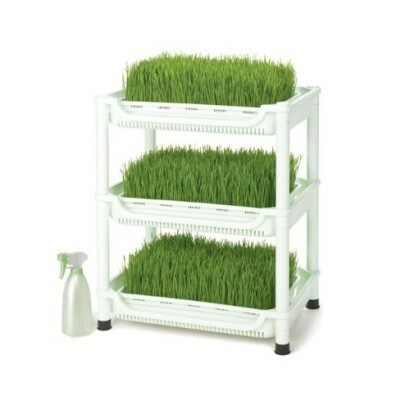 and also entire kits for sprouting wheatgrass. Lots of foods contain antioxidants, so this is a wide spread of super foods, worth of a post in itself, so stay tuned for that one!